This is one of the more ornamental Gesneriaceae that were growing along the trails at Pelagus. This one had incredibly soft hairy leaves. The reverse side of the leaf was red in color. We did not see any flowers on this species. 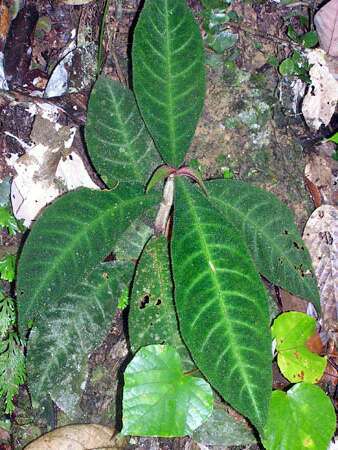 Each leaf was about 25 to 30 cm long and 10 cm wide.